We hear all the time, “Why is IBC not more well known?” IBC is viewed as rare and rare disease are “orphaned.” Orphaned in the medical community means not taught in class, funded for research or even presented in medical conferences. We are changing that, one story at a time. Rare? We don’t think so. Real? Yes, real women living with IBC. My boyfriend of four years had just proposed to me a month earlier and I was prepared to start planning a wedding, but I felt a massive lump in my breast, and knew I needed to have it checked before anything else. I went to my PCP and she felt the lump and said, “that’s definitely a fibroadenoma. You’re fine! We will get you scheduled for a lumpectomy and have it removed” I had no family history of breast cancer and I was relatively healthy, so why would it be cancer? Plus, she’s the doctor, she would know best, right? 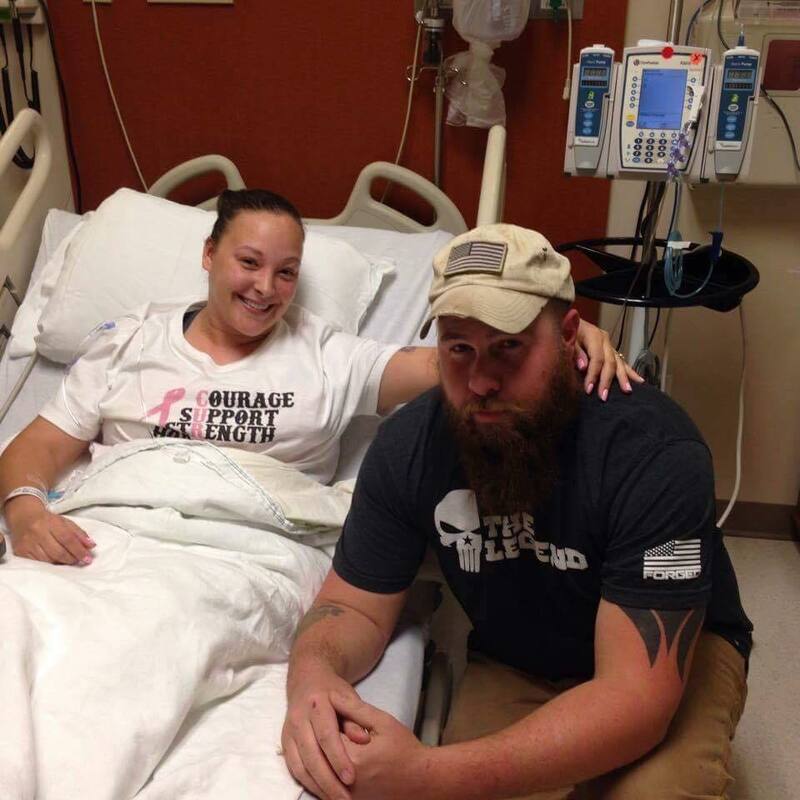 I walked out feeling uneasy about heading into a lumpectomy with no biopsy. My doctor assured me that a biopsy wasn’t very necessary within family history, and I was “too young to worry about breast cancer”. She also said they planned to biopsy the lump once it was removed. I should have been fine with that all, she is a doctor after all, but I wasn’t. I requested to have a biopsy done and after my request and the request of an advocate at the Laura Bush Foundation, they agreed to do the biopsy. Two days later my doctor called and asked me to come to her office. I sat in her office, shaking. I knew what she was about to tell me. She came in, sat down and started to cry. She said, “I’m so sorry. It is cancer, and it is already stage 3.” She apologized for telling me not to worry and giving me false hope that it would be nothing. I was the first patient she ever had diagnose with cancer. I decided to be treated at MD Anderson. When I got there, we were under the impression that I had Invasive Ductal Carcinoma. My breast had become red and swollen, but I also had a very sizeable lump, so I never thought anything about it. I also had never heard of IBC, so it wasn’t even on my radar. 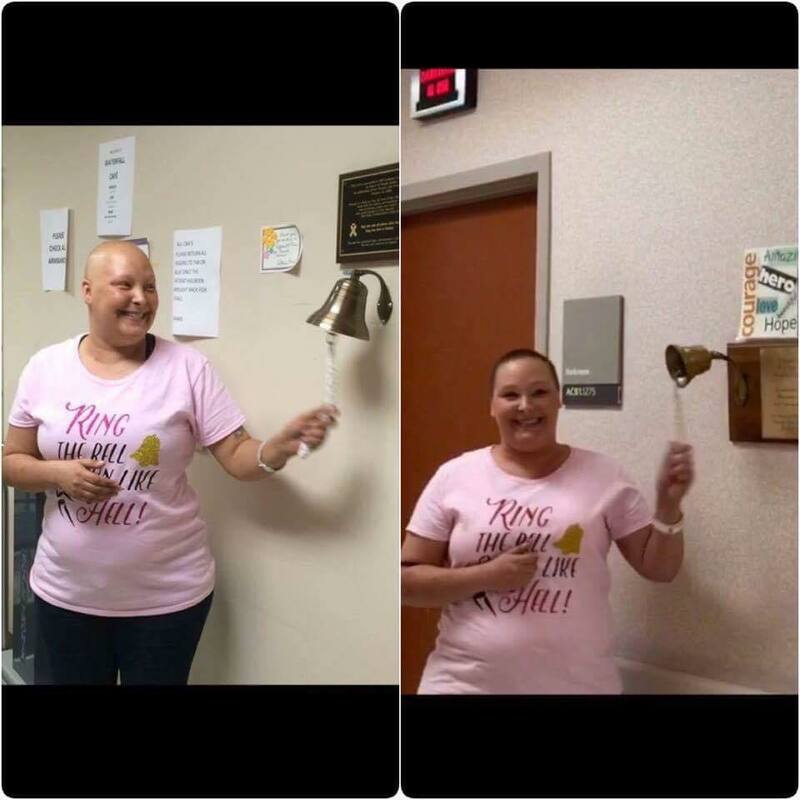 Once I was done with multiple tests at MD Anderson, I was seated in front of my oncologist who informed me I had IBC. My entire life was changed. 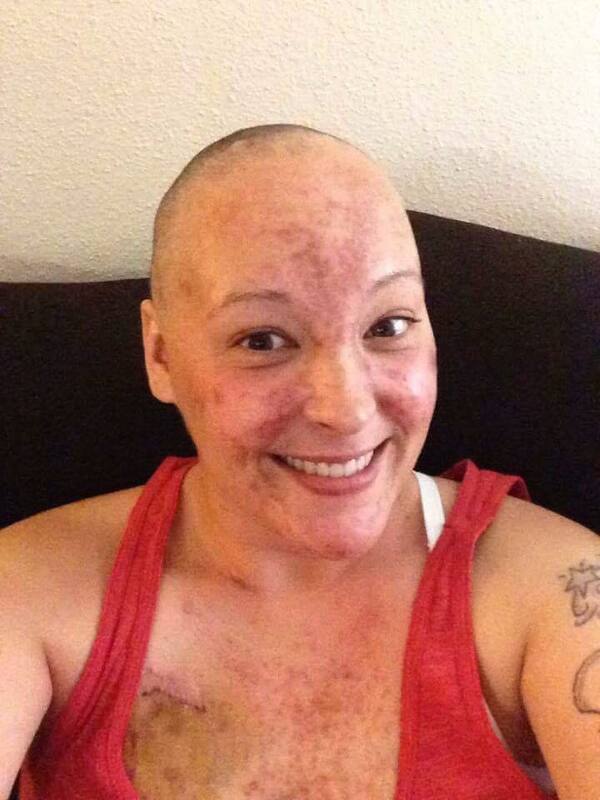 I underwent 16 rounds of chemotherapy, with 6 different chemo drugs, I broke out in a rash all over my face, chest and back from one of the drugs I was on, three hospital stays for low blood counts, surgery and 44 rounds of radiation. Today, I am just a month from being NED for a year. I think about my life two years ago, when the hardest decision I had to make was what I would wear or how I would do my hair that day. I have learned to love every minute of my time here on earth and to do all I can to help others. That is why I continue to share my story and very personal pictures of what my body looks like today. It is important to me to make young women aware that no family history and being young doesn’t always protect you from cancer. You can follow more about Bo’s story here. 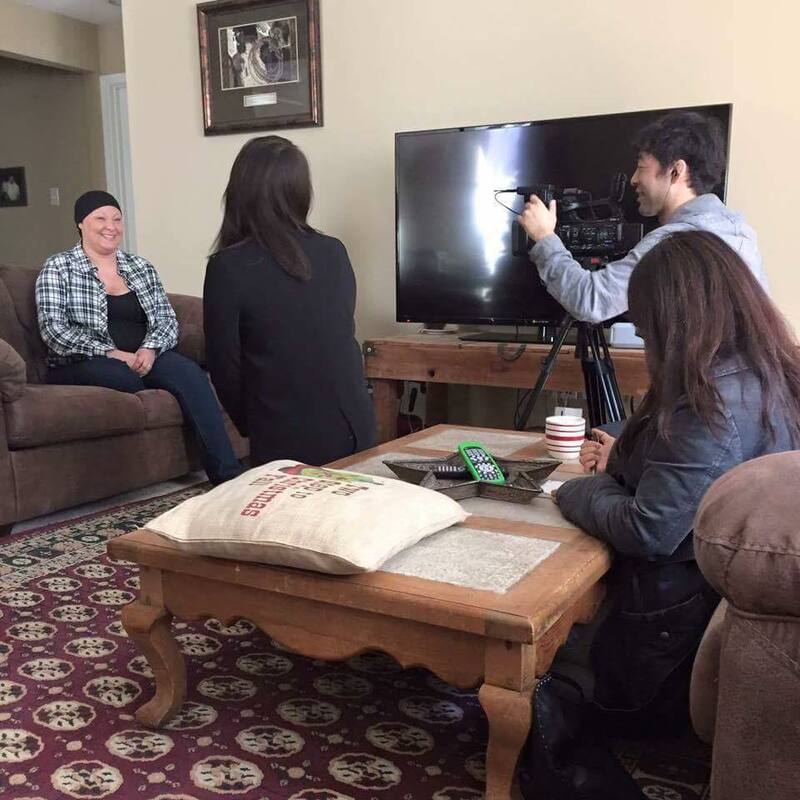 Bo was interview by a Japanese news crew in Houston for a series of stories on young women with cancer. Chemo rash, but fighting with a smile and some strong will!